Did you know that eggs come from chickens (mostly) and not just cardboard packaging? Yeah, me neither. But apparently, those little devils are laid and then collected, eventually coming to market. And here all this time I thought they were produced in the Cadbury factory! Of course I am being facetious, but it does go to show how easy it is to forget where our food comes from — along with all the little associated accessories. 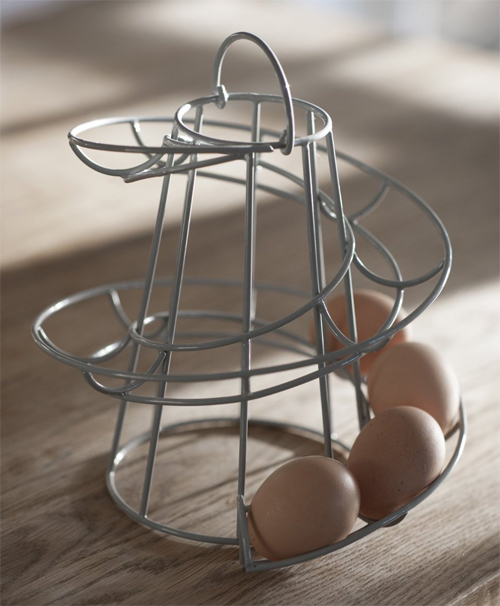 For example check out this Egg Run Holder offered up at the major retailer Williams-Sonoma. 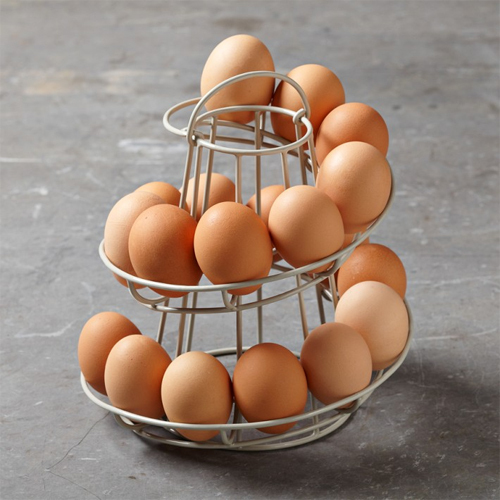 Bring your eggs from coop to counter and keep them in date order with this handy egg run. Simply add freshly laid eggs to the top of the run and remove from the bottom when ready to use. Now if they can only create a spiral refrigerator to wrap around the egg accessory. Because eggs have to be refrigerated, right? Wait, what is that I hear? Fresh eggs are different? The chickens don’t go into refrigerators to lay eggs? Jeesh, that’s a lot to take in — I hope I don’t learn where bacon comes from next!